I love my sourdough bread. Buttered and toasted, it's close to heaven. My method has served us for years, but these past few months I've been struggling. Time has been short, nights have quickly gotten too late. So finally, I acknowledged defeat. Right now, I can't do a second rise sourdough. I need something that I can get done in one day, not in two. So I got out my math notebook. I know, math? For sourdough? Yes, you need to do math do make sourdough bread. Math is in everything, by the way. But for sourdough, you need to do math in order to keep the same percentages of water and flour. I still only use bread flour and filtered water. But I skip the starter stage and go straight to the bread dough stage. I have noticed a slightly less sour flavor, which some people will prefer and some will not. The kids and I are a little disappointed (we like a little sour) but Jeremy loves it less sour. To begin, weigh out 8 ounces of your freshened barm into your mixing bowl. Then 23 ounces of flour, and 11 ounces of water. Begin mixing. If you are using your stand mixer, use your bread hook and mix for one minute on the lowest setting. If you aren't using a mixer, stir with a spoon until you can't anymore. Let the dough rest for 1 minute. While it's resting, pour 2 tablespoons of olive oil over the dough. Now it's time to starting kneading. I use my stand mixer again for this. Begin kneading on the second setting for 4 minutes. It will take 6 minutes hand kneading. Halfway through this first kneading, add 2 teaspoons of salt. Let the dough rest for 5 minutes, and then knead again for 4 minutes (mixer) or 6 minutes (by hand). Now, cover your mixer bowl (I use this suction lid , makes it so easy!) and let the dough rise for a couple of hours. 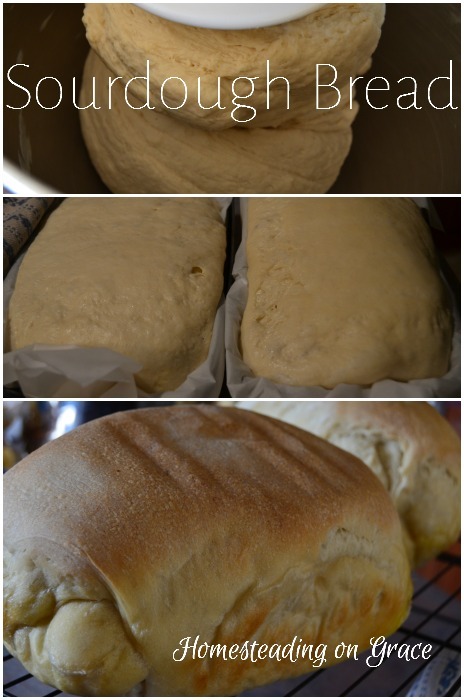 After it's doubled in size, shape your dough into two loaves, in whatever shape you'd like to use. We like our loaves to have soft sides, so I don't normally do boules. I shape them into loaves and put them on oiled parchment paper in loaf pans . This method keeps the crust soft and is easy to get out of the pan. Cover with a cloth. Let the loaves rise for several hours, until they are as high as you want them. Bake at 450 for 20 minutes, and voila! Two lovely sourdough loaves in one day. If your bread isn't rising very well, you could try experimenting in two ways. First, check the temperature of your dough ball after kneading. If it is up to 80 degrees, you'll be golden. If not, let the dough rest another 5 minutes, and then knead again for 2-4 minutes, checking the temperature every once in a while. You want the dough to get up to 80 degrees before you leave it to rise. Also, during cold weather, it will take longer to rise. Salt actually hinders the yeast from rising, so that it will rise slower to achieve a more sour taste. So if the temperature is right, but your rise is still too slow (like more than 12 hours), next time only use 1 teaspoon of salt. 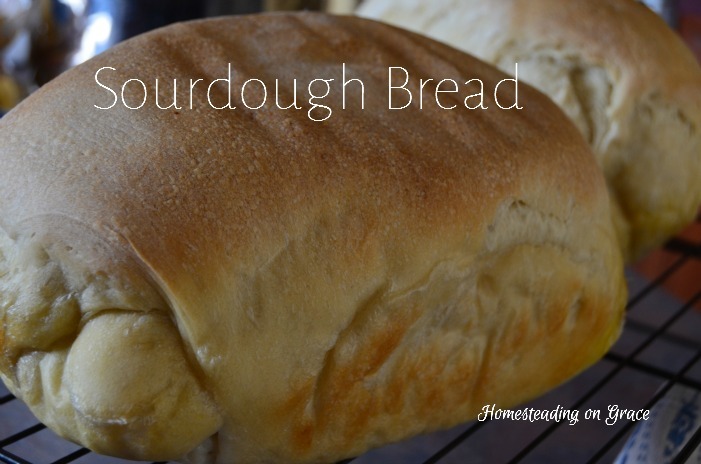 For more information on sourdough, check out my other posts detailing everything I know about sourdough here: Part 1, Part 2, Part 3, and Part 4. If you are having trouble shaping, definitely check out part 4. There are two ways this method works. One, mix up your dough a couple hours before you go to bed, and then right before bed shape the loaves. Let them rise overnight and bake in the morning. Or two, mix it up first thing in the morning, shape before lunch time, and bake around dinner time. I hope this helps! I love talking about sourdough, so tell me how you do sourdough, or if you have any questions. Do you like it sour, or not so sour? Thanks for the bread recipe. I really want to make this. I have two questions: (1) What size "loaf" pan do you use to bake your bread in? (2) Where can I buy them? I'm truly enjoying your blog - I'm a new follower. Thanks for any help you can provide. I've never made bread before. Hey Bobbie! Thanks for joining us! The loaf pan I use is 9x5, here's the one at Amazon: http://amzn.to/1RHPIzB (Affiliate link, thanks!) Glass ones work as well, if you already have two of those. You can read through my other beginner sourdough posts starting here: http://www.homesteadingongrace.com/2014/08/how-i-do-sourdough-part-1.html for in depth information on sourdough. I'd love to answer in other questions you have, just let me know! I love sourdough, I live off the stuff! I can't eat gluten or wheat but sourdough is so easy to digest. Luckily my brother has gotten into baking so I'm taste testing a lot! 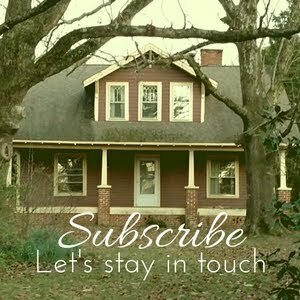 I'm new to the Homestead blog hop and I'm making my way through reading all the wonderful posts! Thank you for sharing on the Art of Home-Making Mondays Jennifer! Thanks JES, you know I'd love to help in any way I can! I used to make sourdough bread all the time, but I haven't done it in years. Looks so yummy! Pinning for later. 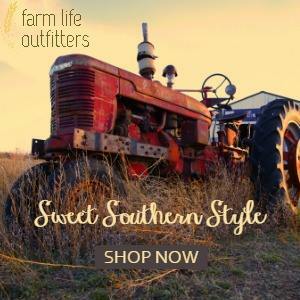 I'm so happy I was able to find your site. I used to have my sour dough starter, but sadly got ill just now getting a bit better so yes I'm going to start again. I don't do bread machine breads, of coarse at my age I guess I should had one, but was unhappy with it just to small of loaves to enjoy hot with butter. LOL This is just great. Thank you young Lady so nice to see the younger generation at it's best. I'm glad you found me too! I wasn't very happy with a bread machine either, the bread wasn't big enough for me. I'm glad you're feeling better, and I hope some nice warm sourdough bread is in your oven soon! Thank you for such a nice comment!